There are a lot of articles and blogs that published similar topics about living a fulfilling and worthwhile life, so why another? I believe that these tips are subjective, and you cannot act on them. This is why I created my version of “19 Simple Ways to Live A Fulfilling And Worthwhile Life”. I have tried my very best to share it in a way that you can act on and work on these 19 ways. They are something that you can DO to live really a motivated life. If you want to live a fulfilling life, I believe that you should start from developing yourself. It must begin from within you. And the best way to do this is through reading. What you need to do is to commit 30 minutes to reading a book. Of course, you can always spend more time in reading if you want to, but the minimum is 30 minutes. Do you know that one of the main factors most successful people are able to create amazing results in life is because they have the habit of reading and learning each day. Regardless of whether it is a book or a magazine, you must adopt this habit. And don’t forget to choose to read the right materials that will help you, not just any book or magazine. There’s no point to read about entertainment magazine if you do not want to grow in that area. Most people wasted too much time into doing something that is not going to help them in living their dream life. If you are going to read, make sure you read something good and something constructive that will empower your life. Here are 10 reasons why you need to read. In fact, this article tells you why reading will save your life. It is very interesting and you should read the article too. If you don’t have a book, visit your local bookstore later or better yet, head over to Amazon right now and buy one. Buy a book that will improve your knowledge in the field that you want to excel. The above image is the screenshot of one part of my books. Do you see any titles that interest you? I read a lot, and I love reading. The more you read, the more potential power you will gain. And when you put those potential powers into use, you will be able to build an amazing life. So grab your book now and put aside 30 minutes each day to read. You can do this the first thing you wake up in the morning. Make it a routine and it will become a habit. One more thing, subscribe to this blog’s RSS and get email updates directly from this blog. You’re going to learn all the tips and strategies how to build a successful, worthwhile, rewarding, fulfilling and happy life. There’s no way your life is going to be fulfilling if you are not happy, right? So we cannot miss out the happiness part. The happier you get, the more you will achieve. A lot of people get it wrong with the thinking that they need to achieve first, and when they see the money or when they hit their goals, ONLY then they feel happy about it. Wrong, happiness is a state. You can choose to be happy or unhappy whenever and wherever you want. You do not have to wait for things to happen only to feel happy. You can be happy right now if you want to. Just think about all the happy thoughts and you will feel the happiness. You can try this out. Open YouTube, search for your favourite song that will make you joyful and want to sing along. Play the song and close your eyes while thinking about all the great and cheerful thoughts. Did you try it? How do you feel? If you do that, you will definitely experience a mood change and feel happy. The key is to consciously choose to FOCUS on thoughts and things that will make you feel delighted each day in your life. Write down a list of your hobbies and things that will make you happy when you do it. You can have 5 or 10 or 20 items on the list. What you want to practice next is to do at least 3 of those items in the list every day. If singing while taking bath will make you happy, do it. If walking with your dog in the park will make you feel joyful, do it. If swimming will make you smile more, do it. The key is to make your life joyful each day. You want to program your mind to focus into something that makes you happy each day. The more you focus into adopting the happy state, the easier it is for you to experience happiness. And eventually, it will become a habit to stay happy. And when you are in the happy state, you will be able to think more positively and achieve more. There’s no way you can live a fulfilling life if you’re always sick. Don’t even talk about a fulfilling life, you won’t even able to enjoy your life if you are sick. Health is one of the most important areas that we need to take care of in our lives, but yet, most people never do so. They feel that they are healthy when nothing happens. So they continue to eat junk food and go through every day without exercising. Only when they got sick, they will feel that exercise and eating healthy foods are important. Well I’m not really an expert in this topic, but I do understand the importance of keeping your life healthy. For me it is very simple, I just want to have all the energy and drive to go through my day. I wanted to be as productive as possible. I cannot be productive when I’m sleepy, tired or sick. Thus, I take good care of myself through constant exercising and try to consume more greens and drink more water. I believe that if you are not healthy or are not in good shape, your productivity level will drop and this is will affect your daily work performance. And I seriously do not want my energy level get affected by my health. Read this: 15 Easy Ways to Be Healthier, these tips are provided by three experts, a naturopathic physician, a nutritionist, and a personal trainer. Check them out to learn more about maintaining a healthy lifestyle. One thing you can do to maintain your level of health is to exercise daily. You don’t really need to spend 2 hours jogging, swimming or hitting the gym every day. You just need to spend about 15 to 30 minutes a day will do. You can do some stretching or yoga for 30 minutes a day. What if you don’t have even 30 minutes a day for exercise? If this is so, then you seriously need to change your lifestyle. There’s something wrong with your schedule or lifestyle if you cannot even find 30 minutes for exercise a day. Here’s the 30 minutes exercise plan that you can do at home. This is a very powerful technique that you can implement starting from tomorrow onwards. Write down your top 10 goals that you would like to achieve this year every day. You can do this early in the morning right after you wake up. Some success coaches even encourage people to practice this habit twice a day. Once early in the morning and once before you sleep. The reason being that whenever you write down your goals, you are consciously focusing on what you want to accomplish in your life. Whenever you write down your goals, you force your mind to think about them. You will then start to think about what you need to do and get inspired by your goals. If your goals are not inspiring you, just go ahead and grab Goal Setting Formula. Learn to set empowering goals that will drive you and motivate you into taking action. Most people fail because their goals are not driving them. Their goals don’t motivate them. That is why they fail to act, all because they don’t have the motivation. Get yourself a journal or a notebook for this. What you need to do is simple; just write down your goals on the book each day. If you have no idea what to write, just write your top 10 goals, as simple as that. The key here is that you want to program your goals into your subconscious, so that taking action will become part of your habits. When things become your habits, you don’t need motivation for doing them anymore. You will act automatically and you will work on the plan effortlessly. Just like how you brush your teeth every morning, you don’t need motivation to do it, right? If you have no idea about goal setting, learn it from Goal Setting Formula. 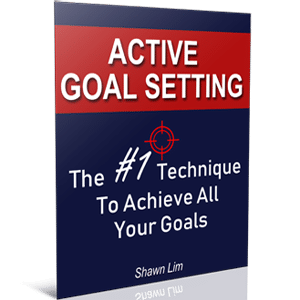 It is a proven step-by-step strategy that will show you the power of goal setting and how you can reach what you want. Tracking your progress is crucial. If you want to live a fulfilling life, how can you tell if you have already reached there? You need to track your progress, know how much you have accomplished and know how far you are from what you want. A lot of people never track their goals. They set their goals and after that, they forget about them. What is out of your sight, will be out of your mind. And if your goals are not in your mind, you will never work on them. What is the first step you need to take if you want to lose weight? You need to weight yourself. You need to track where you are. The same goes for success in any other field. If you want to make a lot of money and get rich, what is the first step you need to do? Evaluate your own net worth. You need to understand your financial level and how much you worth. Unfortunately, this is what most people never do. They look at the map without knowing where they are. And if you have no idea where you are currently located, how can you get to the place you want? Imagine when you are lost and you ask for direction from stranger, how do the stranger tell you the direction to get to the place you want? You have walk straight from here, turn right, etc, etc. The point is, the direction given is base on where you currently located. In other words, you cannot get to where you want without knowing where you are right now. This is what tracking your progress can help. So here’s what you can do, every week, choose a day and track your progress. Ask yourself what you have done over the last week and what can you do to improve yourself the following week. I call this meeting with myself. I usually do this every Friday at 4pm. I will just spend my time tracking what I have done over the week and where can I improve to reach my goal and what should I do next week. You have to treat this as serious as possible because this is the meeting that will get you what you want. If you want to be a millionaire, do this meeting with yourself. Talk about what have you accomplished and how far are you from being a millionaire. Take this as serious like a real meeting with yourself. This is where you get to evaluate your life! And do it every week at the same day and at the same time. This way, you will condition your mind that the evaluation activity is important and you must make it a habit. The moment you express gratitude and be thankful, you will feel that life is just wonderful. You will have a lot of hatred and un-satisfaction if you did not be thankful for your life. Whatever that had happened to you, happens for a reason. I know that sometimes it may be difficult to swallow because bad things just happened. However, if we wanted to move on, we need to understand it. I’m not suggesting you to be emotionless or cold hearted, but we need to understand that as long as if we’re stuck in the past, we will miss out all the good things that come along. Long time ago I have seen a picture shared on Facebook. It is about a picture of a little girl with decent looking-dress playing an iPad, but she is not happy because she wanted more. And below the picture of the little girl is another contrast picture showing a kid from Africa who is smiling and happily playing with a camera-shape rock. From the 2 pictures, you can tell that happiness and satisfaction have nothing to do with luxury items or money. I can’t seem to find the picture anymore. So you see, regardless of how much you have today, it does not matter as long as if you are not grateful, you will feel not enough. On the contrary, if you are grateful for everything you have, even if you are poor, you will feel a deep sense of peace and happiness within. All because you are grateful and thankful for what you have. Hence, you need to be thankful for everything that you have at this moment. Be thankful that you are alive today that you can still see the person you love and still able to walk and talk like a normal person. Be thankful that if you can read this article now, it simply means that you are more fortunate than 3 billion people in this world who are illiterate. Be grateful that if you have food in the fridge, clothes on your back and a shelter to sleep, you are considered 75% richer in the population in the world. You will accomplish more when you are grateful. You will be able to do more when you are thankful. You will be able to live a more fulfilling life when you know to appreciate your life. There are a couple of things that you can do to practice the attitude of gratitude. The first and the simplest is always to say thank you to people. When the food you ordered is served, don’t forget to say thanks. When people hold the lift for you, don’t forget to say thank you. When other people are helping you, don’t forget to say your thanks. Next, you can get another notebook and write down 10 things that you are grateful for each day. Again, you can do this together with the exercise of writing down your goals. You can do them both together each morning. Here are the 13 things James Winfield learned from writing 1,024 gratitude lists. You can read his experience and how this habit has impacted his life. It doesn’t matter what you are grateful for. The most important key is to adopt the thankful habit. You can write down that you are thankful for your cat. You can be thankful that you can still breathe. You can be thankful for your comfortable bed, or table, or house, or the computer, your parents, your pets, or anything. Just practice, write down 10 things to be grateful for and make it a habit. Finally, you may want to thank someone each day. It could be your father, your mother, your sister, your brother, your colleague, your boss, your soul mate, your friends, your plumber, your contractor, etc. Imagine you text one of your friends saying that you are grateful that he or she is with you until now. What do you think will happen? Do you think your friend will help you, even more, the next time when you need it? Do you think the relationship between you both will improve? You better bet it will. Amazing things will happen when you start to practice the gratitude activity. You will see that people will reciprocate and appreciate you more. You will see that things started to change within you. You will feel peaceful inside you and feel the happiness within. Complaining, giving excuses and blaming are the 3 main roadblocks that prevent people from growing to the next level. You cannot be successful if you always complain. People who complain never get ahead because they focus on the problem instead of the solution. They think about things to complain or things to blame when something happen. If you ask them why are they not successful, they will tell you that it is because of their parents, their schools, their friends, their lousy boss, their stupid company, their wives, etc. literally , but the problem will not be them. When you blame, give excuses and complain, you are giving away the power to control to change the situation. Imagine if you got stuck in the jam and are late for a meeting, what would you feel? Do you blame the traffic and complain? Or do you take the responsibility so that next time you will leave earlier? Who drive the car into the road and got stuck in the congestion? You did. So don’t complain and don’t blame. Learn to take responsibility. When you blame or complain, the negative energy will build up within you. When your boss scolded you, and you feel angry, who is the one that will get affected by the anger? You and no one else. The same effect will happen to you when you blame, complain or give excuses. The situation will never change; it is just how you are going to deal with the situation that matters. Whenever you blame, complain or give excuses, or thinking negatively, shout out loud “CANCEL!”. I know that this is difficult because you may not be aware that you are blaming or complaining. Here’s a good way to do this and make you aware whenever a negative thought comes up. Wear a rubber band on your wrist. You will be reminded why you are wearing it because you do not allow negative thoughts in your head. So whenever you see the rubber band on your wrist, you consciously reminded yourself. And whenever you blame, complain or give excuses, snap yourself with the rubber band. Feel the pain and make sure you train your mind never to think negatively again. Do this for a month and you will see how impactful this is going to be. If you feel this is odd, and people may find you’re odd for wearing a rubber band on your wrist, don’t worry, you are not alone here. I’m with you, and I’m doing this as well. You want to get rid of all the disempowering thoughts and train your mind to think positively. There’s nothing to feel odd about. Do you know that the environment you are in will determine your success? If you work in a lousy working environment where everybody is back-stabbing each other, you will never grow. Leave and find a place that is supporting to you. Not only is your workplace relevant, but your house is also important too. So start from managing your home. Start by creating a place that you truly wanted to live in and a place that you truly call, home. Never underestimate the power of a supporting and empowering environment. People change, get motivated, get inspired and become who they are because of their surroundings. If you are living in a free country where there are not many obstacles blocking your way, you should be grateful and work as much to attain your goals. Imagine those who are less fortunate who was born in a country that is in war. Or those who were born handicapped. They don’t even have the same level of resources as many of us. So make full use of what is available to you. Learn to grow an environment that will support you and makes you grow. Redesign your workplace. Is your workplace supporting you? Do you feel like going to your office every morning? If you are not willing to get to work, probably it has something to do with the environment. Change that. If you want to build a successful business, start with developing the right office. It can be small, and it can be simple, but it must give you the feeling that you can succeed. Here are 10 ways how to make your workplace more productive from Inc.com. The same goes for your house. Is it time for decluttering? You do not want to get back tired from work into a house that is not comfortable, right? So make your home clean and with less clutter. Make sure you live in the right environment that will support you. From the above, I said that success starts from ‘home’, and you should always start with your family members. If you don’t have any family member, it is alright; you can start from growing relationship with people you love. They are important because they are the one that influences you the most in your life. Those who you loved own a portion of your heart and your mind. You will spend some time to think about them, and that means they are important. And since these people are important, you may want to build a stronger relationship with them. You don’t have to wait until you’re successful only to take care of your family members. You don’t need to be rich to build an intimate relationship with people you love. You can do it now. And you don’t have to wait. You will never know what is going to happen in the future, so appreciate those who you love that you can still meet them, hear them, and bring them out for dinner. Do something at least once every week, to grow the relationship between you and the people you love, especially your family members. You can visit them once a week or give your parents a call every couple of days. You can bring your lover to a restaurant to try out new food every week. You can invite your friends to your place once a month or so. Whatever you do, you must spend time and effort to grow the relationship. You need to ‘invest’ to grow it. So start taking action from now on and start with the easiest way, give a call to someone you care about after reading this. Tell them how much you appreciate them and tell them how much you care. By the way, tell them how this blog reminded you of them. If you want to learn more, read these 10 ways to create a strong and intimate relationship from TinyBuddha’s blog. Now, let’s move on to the more interesting part, managing your finance. If you want to live a successful, engaging, and fulfilling life, you cannot escape from this topic. It is utmost important. Money is important, those who tell you otherwise means that they don’t have much money. You see, how can you have something that is not important to you? If table tennis is not important to you, do you think you will want to learn more about it? Not likely. And I don’t think you will have a ping-pong table in your house too if it is not important to you. What about money? If you money is not important to you, do you think you will have a lot of it? You know the answer. In my opinion, money is important. And please don’t compare it with love or relationship. I will think that the comparison is just plain silly. When you ask whether money is more important or love, it is just like ask whether your left leg is important or your right leg. With money, you can pay your bills, buy a house for the people you love, bring your whole family travel over sea, bring food to the table and do a lot of things. So do you think money is important now? You better believe it is. And for you to build a successful financial life, you must learn to manage your finances. You must learn to track your income and your spending. This seems like a mundane and tedious work. However, the impact is huge. A lot of people simply spend and they have no idea where their income was gone. And most spend into areas that are unnecessary, but they have no idea where they money was spend. Never let this happen to you. If you want to grow something, you must track it. You must know how much you have, how much you earn, how much you spend and how much you are going to get. Everyone can do this now, tracking your spending and income has been made easier through the use of mobile apps. You can just download the free tracking apps and make it a habit to track where your money goes. You know what, this way, it will be easier for you to come up with your cost, spending and earning when you want to declare taxes. I have been tracking my finances since many years ago, and I have this habit with me that never go away. I’m glad that I started tracking my financial being years ago, and now, I know exactly where my money go and where they come from. You can do the tracking every time you do a transaction, or you can just track it by the end of each day. The key is in developing the habit so that you can tell your financial standing. Out of these 13 ways to living a fulfilling and meaningful life, I dedicated 3 of the ways to managing your money. I hope you will like this and make it part of your life. Now, you need to create an income distribution plan. In fact, you don’t need a plan; all you need to do is to commit to distributing your income each month. You need to allocate a certain percentage of your income into savings and investment, and then only spend the rest. Almost everyone will spend all the money they receive, without allocating a certain portion into saving and investment, which is why most people are never rich. This is the ultimate and a guaranteed way to grow your money. For example, whenever you receive your income each month, you can allocate 10% into savings and another 10% into investment. There is no right or wrong allocation as this is all depended on the individual. For more information and explanation, you can visit the full article here. I can’t stress enough how important this habit is going to be. If you don’t have the habit of saving and investing, probably, you will never do too well financially. Distributing your income for saving and investment is one of the fool-proof ways to making yourself richer. Create your money allocation plan. You can make it as simple as you want or as complicated as possible. I will suggest you to start with a simple one with a saving account, investment account, and a fun account. Every month when you receive your salary or whenever you receive your income, distributes it accordingly into each account BEFORE you start spending the money. How much you allocate is not important, the most crucial part is that you adopt the habit of taking care of your financial well-being. If you don’t even have enough money to do it, then go and borrow $1 from your friend and allocate the $1. It is the habit that will make you rich. So don’t focus on the amount, instead, focus on committing to doing it and making it a habit. I promised you that I will share 3 ways to manage your finances, and this will be the last, but not least. You need to measure your net worth. Net worth is the ultimate measure of your wealth. You cannot measure your wealth with your income level. Think about it, if you are making $1,000 a month, you are scraping your head to grow your income. You thought that if you can make $3,000 a month, you will be rich. And when you reach the level of making $3,000 a month, you will want to live in a bigger house, drive a better car, eat better and dress more expensive. It is the same for people who are earning $10,000 a month. If you don’t grow your net worth, your expenses will rise and wipe out all of your extra income. 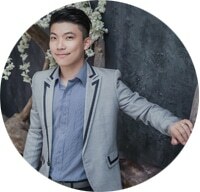 When you make more money, you will want to travel oversea, you will want to change your car, you will want to buy an expensive watch, and so on and so forth. It is a never-ending loophole. You spend how much you earn. This is why you need to learn to grow your net worth and NOT your income. Let’s just say that you are earning only $5,000 a month, and you follow through the distribution plan and save $1,000 every month. By the end of the first year, you have $12,000, and you invest the money into buying a property. After a couple of years down the road, the property appreciates, and you sell it for a handsome profit. This is how you grow your wealth. Through saving, investing and growing your net worth. If you are earning $10,000 a month but you spend all of the money, you are no better than people who are earning $5,000 a month and also spend all the money. After all, there is nothing much left by the end of the month. So this is what you can do – track your net worth every three months. You need to list down your assets and your liabilities and track these numbers quarterly. The main reason to do this is so that you will understand where you are and focus on building your net worth. Where the focus goes, energy flows. You want to condition your mind to think about growing your net worth. Again, what you want to do here is to build empowering habits that will move you toward your financial success. It does not matter how much you are worth right now or even if you are in dept. If you have no idea how to track your net worth, don’t worry, I will never let you hanging and getting nowhere. Check out this article on how to track your net worth. I can’t stress how crucial this is when it comes to living a fulfilling life. How can you be fulfilled if you are not doing what you love? You spend most of your time working, and if you don’t like your work, it simply means that you are spending a big chunk of your life doing things that you don’t like. If you read the biography of every successful person, you will see that all of them share something common. They all love what they do. The road to living a fulfilling life can be easy, simple and it can even make you rich if you follow your heart and do what you love. Steve Jobs said that you are going to spend most of your time in your work, so you must do great work to be fulfilled. And the ONLY way to do great work is to have a burning passion for it. And this does not only apply to your work. In fact, it applies to every area in your life. You must do things that you love and follow your heart. Can you imagine spending your whole day working for things that you don’t like, feeling tired and exhausted, and when you get back to your home, you still need to do things that you are not passionate with? So stop that. Treat yourself better. Find out what you love to do and do it each day. If you hate you don’t like your work and don’t want to change it, it is alright, but at least treat yourself better when you are not working. Do you love gardening? You can spend time gardening after your work. Do you love to exercise or swimming? You can spend time exercise and swim after your work. Do you love to write and share? Probably you can start a blog and tell stories, like me. You must make your life fulfilling through doing things that you love. You cannot go far if your life is all about doing things that you hate. List down at least 10 things that you love doing, do at least one of them each day. It does not have to be something big or something difficult to do. If your passion is to travel the world, that does not mean you have to do it every week or every month. You can check out online for places you love going. Make it a goal to visit the country you wanted to travel to. Search for the attractions and information; see how others enjoy their travel there and so on. You want to make your life worthwhile. You want to make your life fulfilling and happy. So lists down your passions, your hobbies and what you love to do right now. Understand yourself better and do at least one thing that will make you feel your life worthwhile every day. Once in awhile, you must venture out of your comfort zone to grow yourself. You cannot live the exact way you were 10 years ago. If you are living the same life like you were 10 years ago, it simply means that you are not moving forward. The world will change all the time. The only thing that will never change is the fact that the world is constantly changing. It feels nice and warm to stay within your comfort zone, but it is not going to help you to grow to the next level. When you do something different, you may feel insecure and afraid, but once you get used to it, it will become things that you are comfortable doing. Imagine the first time you are giving a speech on stage, do you feel afraid and uncomfortable? And if you have done it for many times, how do you feel? You get used to it, and it feels nothing to you. I love to use games as an example. When you play games, your character levels will increase. The character will then become stronger and able to defeat stronger enemies. It is the same in life. If you are earning $3,000 a month, and you need to handle a money problem of $5,000, you may feel that it is a big problem. Now what will happen if you are earning $100,000 a month? Will the $5,000 problem be an issue? Not likely. This is why you need to grow and improve. 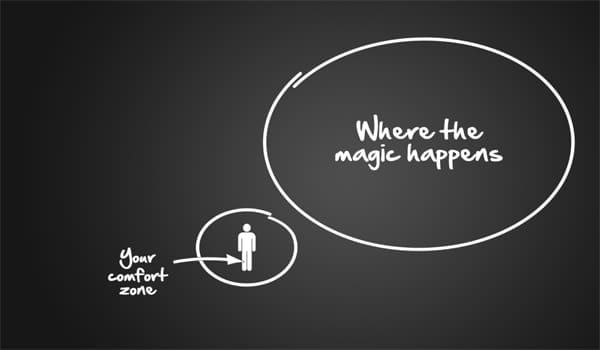 This is why we need to venture out of our comfort zone. Try out something new each week. You can try out the new restaurant in town. Bring your lover there. Improve the relationship and in the same time, grow your comfort zone by testing something new. You can also read a book in a totally different category. If you have never watched a Korean drama before, try to do that. If you have never visited a temple, do that. Go snorkeling; learn to dive, what about traveling to a country that you have never been before? Make a list of all the fresh things that you have never done before but wanted to do. You can list down 100 of them. Try your best to commit to doing at least 1 a week. This way, you will grow yourself and expand your horizon. You will learn something new and experience something that you have never experienced before. So venture out of your comfort zone and start growing today. Yes, today is a gift. No matter what you do, you cannot change the past. And no matter how you cannot predict the future. All you can control and all you can do is to focus on the now, at this very moment. Stop spending so much time thinking about the past and stop over-dreaming about the future you want. Instead, put in more time into the now and do things to make your future more certain. You should be clear that you cannot change the past. So there’s no point to worry about what has happened. Read this if you need to learn to cope with difficulties in life. And there is no point to keep dreaming about the future you want. Success will not come to you by just day dreaming. You need to do something TODAY, at this moment, to create the future you want. So live in the now and enjoy every moment you had now. When you are drinking the coffee, enjoy the taste and the smell. When you are watching a movie, feel the experience and immerse yourself into the story. When you are dating with your lover, then focus on the moment and date with love. First, let go of the past. You cannot amend what has happened; you can only learn from it. Next, stop over-dreaming about the future. There’re too many people daydreaming about what they want too often, and they are not doing anything to create the future that they want. They dream about it every single day, but they lack the action. Finally, focus on the now and truly live in the moment. If you are reading this article, make sure you focus and read it with your heart. Do only one thing at a time. You cannot focus and multitask. When you spread your focus, and you multitask, you will never truly enjoy the moment. Your mind will switch from one task to another. So starting from today, focus on the present. Take actions to create the life that you want instead of dreaming it. And never multitask. When you are watching a movie, enjoy the movie. When you are spending time with your love ones, experience the moment. When you are working, pour your heart into it. To live a worthwhile life, you must learn to start your day strong. When you have a great start of the day, your whole day will become great. Have you ever started a day with tiredness? Just like you sleep late the night before or you don’t have a good sleep and you wake up feeling tired, sleepy and exhausted? How your day goes? Do you feel good about it? Did the whole day go smooth and interesting? Hardly, because if you have a weak start, it will affect your whole day. This is why professional athletes and successful people emphasize on starting their day strong. They know that if they feel good every morning, they will be able to maintain their energy and go through their day strong. You have to do this as well, and it is not a difficult task to do. Having a good start can be as simple as having a good sleep. You can sleep on time the day before to make sure you have quality sleep. Apart from that, you should make your bed each morning after you get up. It is the first accomplishment of the day. Not only making your bed will make you more productive, but it is also a winning habit. Watch this video below and you will be convinced. Besides making your bed, another winning habit you should adopt is to spend 15 minutes on writing down what you should do for the day. You must understand and keep your goals in your mind at all times. You need to remind yourself of what you need to do and what your dreams are. So every morning, before you start your day, sit down and review your dreams, write down your goals and what you need to do throughout the day. Successful people dedicate their exceptional accomplishment to this small little habit – planning their day each morning. I believe that there’s nothing to lose if you follow through and everything to gain. So make sure you have quality sleep, make your bed and plan your day in the morning. If you want a fulfilling and worthwhile life, contribute more to the world. Help more people and contribute more. You will feel the difference, and you will see the great feeling in you. Whenever you contribute, you know that you are doing something good, and you will feel better. I know that you understand how important it is to help people. And helping people does not require you to be a millionaire to do so. You can help people without using a single cent. Helping someone to open the door when his or her hand is full, hold down the lift for someone, and even smiling to strangers are something that will make the world brighter. I don’t have to say more on this. Just do it and experience it yourself. Giving a helping hand is not as difficult as you think. If you don’t have the money, you don’t have to do a donation. You can do other forms of contribution. Small and good acts such as picking up rubbish, smiling at people, giving way while driving, and giving directions to a stranger will make you feel better. You can always start small and find out what good act give you the most impact. Some people feel the most impact when they volunteer for work while some people feel extremely fulfilled when they visit the orphanage. Everyone is different. The most important thing is for you to contribute and help people. It does not matter whether you donate $10 or $1,000 as long as your good act helps people and make your life worthwhile. These 17 ways will surely guide you to living a more fulfilling and a more worthwhile life. I know that there are a lot to do here. You don’t have to start with everything. 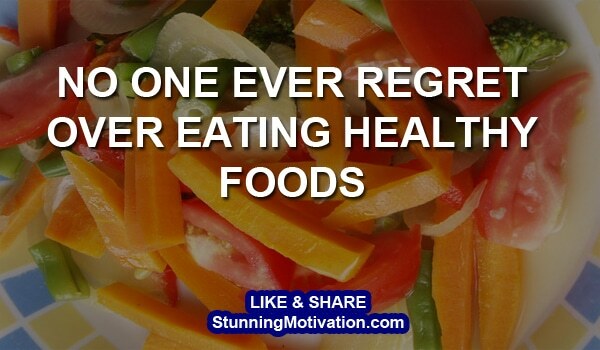 Just pick a few that you can start right away and make them a habit. These tips here may be simple, but they are powerful and may profoundly impact your life. I’m also learning and implementing some of the techniques here and are trying to improve from time to time. Do let me know what you think about these 17 ways will change and influence your life. Share your thoughts in the comment section and let me know your opinion. There surely are wonderful ways to live a worthwhile life. I wish we could follow all of these ways, but even if we can’t, we need to keep trying to reach there whenever possible, isn’t it? You are right about all that you mentioned, especially living in the now – the moments once gone, never return, so make the best use of them by living them the right way. Wow, this is one long great post. I can see how someone could be overwhelmed with what you’ve drawn out. I mean, I’ve heard many of these point like “get out of your comfort zone,” yet it’s so much easier said than done. We’ve grown accustomed to just living in our own little wonderful world that we forget how bad it truly is. Which one is the most powerful for you personally? Glad that you love this David. Which one is most powerful to me? All of them can be powerful and life-changing to me. I read, I write goals, I review them, I track my progress, etc.